BIOGRAPHICAL INFORMATION: M. J. Abhishaker was born in India. He attended college in India and in Minnesota. Presently, he is a professor. SUBJECTS DISCUSSED: Family background, family values, education, college experiences, differences between American and Indian university structures, work experiences, political activities. Leaving India. BIOGRAPHICAL INFORMATION: Indru Advani was born in a part of India which is now in Pakistan. He attended school and college in India. He did graduate work in Minnesota. Presently, he is retired. BIOGRAPHICAL INFORMATION: Pennamma Cherucheril was born in India. As a teenager, she and a sister traveled to Wisconsin to join a relative and to study nursing. BIOGRAPHICAL INFORMATION: Ram Gada was born in India where he graduated from college. He also completed a graduate degree in North Dakota and then moved to Minnesota. Presently, he operates his own consulting firm. SUBJECTS DISCUSSED: Childhood years; experiences growing up in India; education; arranging to come to school in the U.S; arriving in and adjusting to climate in North Dakota. BIOGRAPHICAL INFORMATION: Aparna Ganguli was born and grew up in India. She attended school and college in India and received a graduate degree. 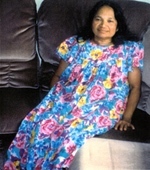 She immigrated to the United States in the early 1960s. More recently, she received a doctorate in Minnesota and currently teaches at a university. 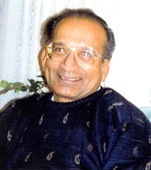 BIOGRAPHICAL INFORMATION: Mansur Kassim-Lakha was born in Kenya to a family of Indian descent. He attended boarding school and college in England and then moved to Minnesota and finished his undergraduate work. Kassim-Lakha is a businessman. BIOGRAPHICAL INFORMATION: P. C. Mangalick was born in India. He grew up in India and ran his own business there. In the early 1970s, he and his wife came to the United States. In the mid-1980s, he and his wife established a charity hospital in Agra, India. 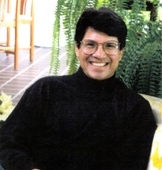 BIOGRAPHICAL INFORMATION: Sudhansu Misra was born in India where he attended high school and graduated from college. He continued his studies in Ohio and Michigan. He came to Minnesota where he and his wife operate a heath care facility. BIOGRAPHICAL INFORMATION: Mahendra Nath was born in India and immigrated to the U.S. in the mid 1960s. He attended college in India and Minnesota. He worked first for a U.S. corporation, and later began his own business. SUBJECTS DISCUSSED: Efforts to organize the Indian Club at the University of Minnesota; work experience at a U.S.
BIOGRAPHICAL INFORMATION: Vimla K. Patel was born in India. She attended college in India and came to Pennsylvania to continue her studies. After graduation, she moved to Minnesota. SUBJECTS DISCUSSED: Her decision to come to the U.S.